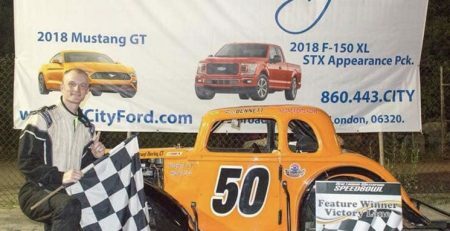 WATERFORD — After three weeks of the 2018 New London-Waterford Speedbowl season, Charles Canfield was sitting in 12th place in the standings, 46 points out of the lead. It looked like he had two chances to successfully defend his Mini Stock title — slim, and wait until next year. Canfield, however, wasn’t buying it. 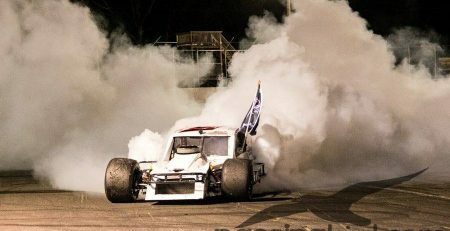 After being disqualified from a 50-lap victory ‪on June 9‬, Canfield bounced back with a vengeance. 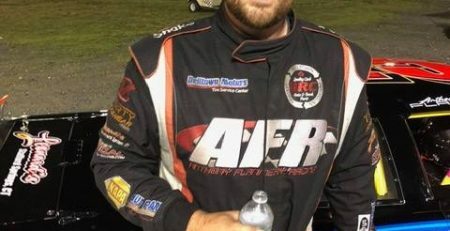 He won the 25-lap feature ‪on June 16‬ and didn’t stop winning. 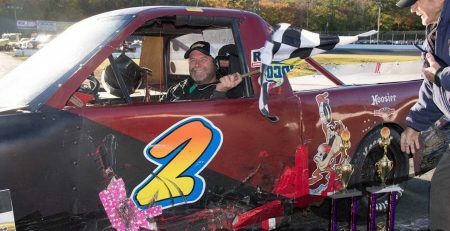 He captured 10 wins — most of them in come from behind fashion — to capture his second consecutive Mini Stock crown. 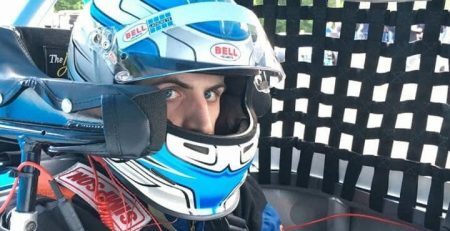 The statistics he posted were mind-boggling — some of the best in the Mini-Stock division — 10 wins and five second-place finished in 17 races. It wasn’t a mind-boggling start, however — back to back 16th place finishes in the second and third races, shoving him outside of the Top 10. The slow start called for desperate measures. Canfield said when he fell 46 points behind, he started trying different set-ups in an effort to find a winning combination. Canfield was so hot during the season, Bowl officials even put a $200 bounty on him. 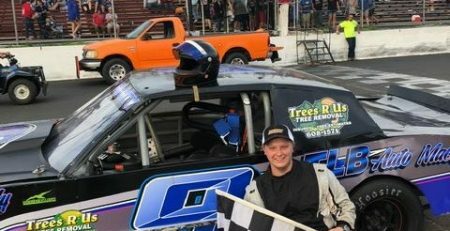 Jordan Hadley, in his first Mini Stock race of the year, captured the race and the $200 bounty. “You have to give him credit because he did it cleanly,” Canfield said. After the bounty race was over, however, Canfield resumed his winning ways. His car was a rocket wherever he decided to put it, including the outside groove. Canfield captured win No. 10 at the season-ending finale, giving him a 16-point advantage over Doug Curry, who stuck to Canfield like gum on the bottom of his shoe for most of the season. Canfield’s 2018 sponsors include Bozzuto Brothers Refuse, NAPA of Guilford, Jim’s Lawn Care, GCR Specialties, 32 Signs and Moroso Performance Products of Guilford. His crew consists of his wife, his kids, Erica and Mark. Al Stone provided the set up. Other support came from his sister, his dad, and the Norman Brothers and their crew. 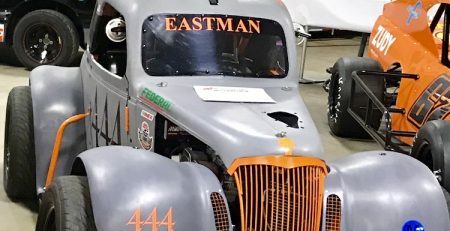 It all added up to Mini Stock championship No. 2. And Canfield doesn’t plan on stopping there. “We’re going for a three-peat next season,” Canfield said. “I’m hoping to get the same sponsors and hopefully our success can continue. The DQ turned out to be a pothole and not a roadblock. Not to mention a good man behind the wheel.